Age 90, of Burton, OH, died on Tuesday, November 27, 2018. She was born in Cleveland, OH, on November 22, 1928, to Stephen and Margaret (Nee: Irwin) Levak. Shirley was a graduate of Collinwood High School and worked for the US Postal Service in Burton for over 25 years. 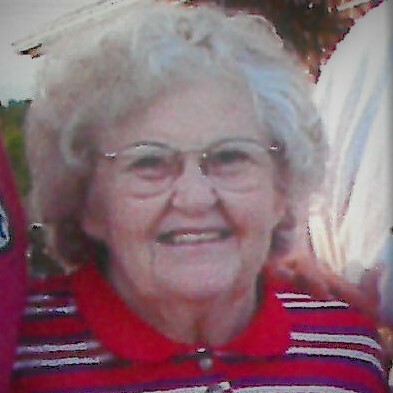 Shirley married Eugene T. Layne, Sr. in March of 1960 and was a member of the Peace Lutheran Church. She was an avid traveler and camper, visiting 49 states, and loved spending time with her family and grandchildren. Survivors include her children; Cheryl (Stephen) Greene of Willoughby, OH, David L. (Diana) Battles of Munson Twp., OH, Stephen (Eileen) Battles of Kent, OH, Tracy (Crystal Gierman) Layne of Mentor, OH, Eugene (Anne) Layne, Jr. of Burton, OH; 11 grandchildren; 7 Great grandchildren; many extended family members. Preceded in death by her parents and husband. A Visitation will be held on Sunday, December 9, from Noon until the Memorial Service at 1PM, at the Burr Funeral Home and Cremation Service, 116 South St., Chardon, OH. Contributions may be made to the Burton Health Care, 14095 E Center St, Burton, OH 44022, or a charity of your choice. Information and condolences on line at www.burrservice.com. I remember Bryan and our son Nate getting ready for a date during the high school years. They drove in with a beautiful powder blue sports car ( Mustang I think.) when I asked them where they got it they replied that it was Bryan’s Grandmother’s car.